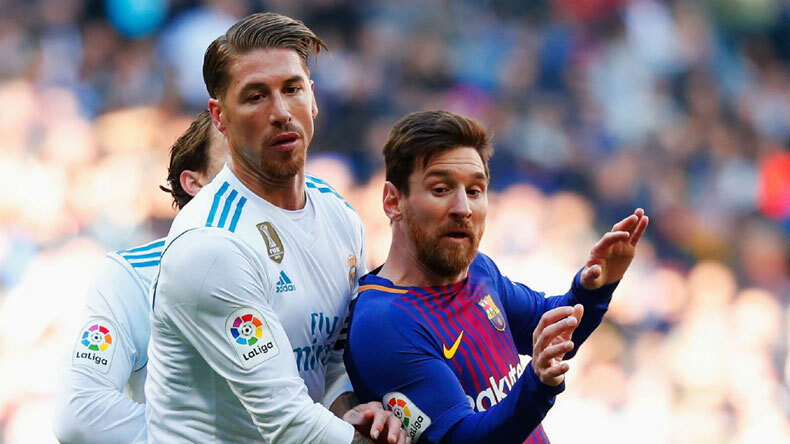 Barcelona vs Real Madrid live streaming: The Copa del Rey semi-final match between the two eternal rivals will be played on Thursday and the El Clasico will start from 01:30 am India time. The Barcelona vs Real Madrid match will be hosted at Camp Nou. Unfortunately, the live TV coverage of the match will not be available in India. Fans can catch the live stream of the match on Jio TV app. In one of the biggest football games in European football, Barcelona will lock horns with Real Madrid in the first leg of Copa del Rey semi-final on Wednesday evening (Thursday) at Camp Nou. Los Blancos will be looking to avenge their humiliating 4-1 loss in last El Clasico while the Catalan club will step into the stadium seeking a comprehensive win in order to gain an advantage for the second leg. Talisman Lionel Messi suffered a knock in Barcelona’s last La Liga match and football fans across the world will be hoping that the Argentine shakes off the injury and plays in the upcoming match. Coach Ernesto Valverde guided Barcelona to a stunning comeback in the second leg of the quarter-final against Sevilla after the Catalan club has endured a mauling in the first leg. On the other hand, the Spanish capital club has witnessed no such hiccups in Copa del Rey so far and their journey to the semi-final has been rampaging. Where and how to watch the online live streaming of Barcelona vs Real Madrid? The live stream of the Copa del Rey semi-final match will be available on Jio TV’s official app. The El Clasico will be played on February 7, Thursday, and it will start at 01:30 am India time. The Copa del Rey match will be played at Camp Nou. Unfortunately, the Copa del Rey semi-final between Real Madrid and Barcelona will be not aired on TV in India. What will be the likely lineups for Barcelona vs Real Madrid match?